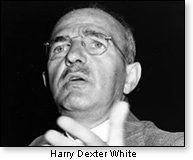 Easily well within the top tier of Soviet agents in our midst during that era was Harry Dexter White. He was the architect of the Morgenthau Plan, named for White's boss, Treasury Secretary Henry Morgenthau. That proposal aimed at converting defeated Germany to a largely agricultural or "pastoral" state. Without any meaningful exports, the German people would starve. In our previous installment, we quoted President Franklin Roosevelt as expressing shock and revulsion when informed that he had actually signed off on the plan at a post-war planning conference. Though FDR pleaded inattention to detail on his part, the shock and revulsion apparently was for public consumption. Privately, he had said to Morgenthau, "We have to be tough with Germany, and I mean the German people, not just the Nazis. You have to castrate the German people, and treat them in such a manner so they can't just go on producing people who want to continue the way they have in the past." Or as Professor Kathy Burke, professor of modern history in Britain, would explain, "Something on the order of 726 steel companies were shut down. Of course, the factories were destroyed. You can't produce anything if people don't get paid wages and so no one has any money to buy anything. And indeed, for the first year or two [after the war ended] Germany had evolved into a barter economy." "In big towns," she said, "they were living without light, without coal, without water, without soap, living with the stench of corpses, but still with the will to live." Professor Burke spoke on the BBC program Things We Forgot to Remember, where the Morgenthau plan was discussed, on a June 2, 2012, broadcast, as a prime example of the long-"forgotten." The proposal was finalized at the Potsdam Conference attended by President Harry S. Truman, who had succeeded the deceased Roosevelt in the U.S., and later by Clement Atlee, who had defeated Churchill in the U.K. The only leader from the "Big Three" who remained in was dictator Joseph Stalin of the USSR. Some documents headlined Potsdam Reparations Begin have emerged from the files of the library at the University of Wisconsin (and likely elsewhere), providing further evidence that, as M. Stanton Evans and Herbert Romerstein explain in the recently released Stalin's Secret Agents, "Roosevelt seemingly backed off [from the Plan] saying that Morgenthau had blundered....there is ample reason, however, to believe that this renunciation was merely pro forma and for the record, as beneath the surface of events, the main components of the program kept grinding forward." The papers in Wisconsin inform us, "The first shipment of industrial equipment to be removed from Germany as reparations under terms of the Potsdam Agreement, was recently loaded at the port of Bremen on the Soviet freighter 'Alexander Pushkin' for shipment to the USSR." That's just for starters. Among other shipments headed to the Soviet Union's war machine included equipment from one of the largest shipbuilding concerns in Germany worth 12,000,000 in pre-war marks; vessels up to 10,000 tons, tankers up to 16,000 tons, and freight transports up to 25,000 tons; a floating dock, a large machine shop, a foundry, a power plant, five 71/2-ton cranes, and one 150-ton crane "are included in the equipment of the shipyard." This is a sample of a very long list. As John Dietrich, author of The Morgenthau Plan: Soviet Influence on American Postwar Foreign Policy, told the BBC, "The Ruhr (industrial area) was the major target of Morgenthau. He wanted to flood the mines....Industrial production after the war went down to maybe ten percent in some areas. So it was pretty effective." 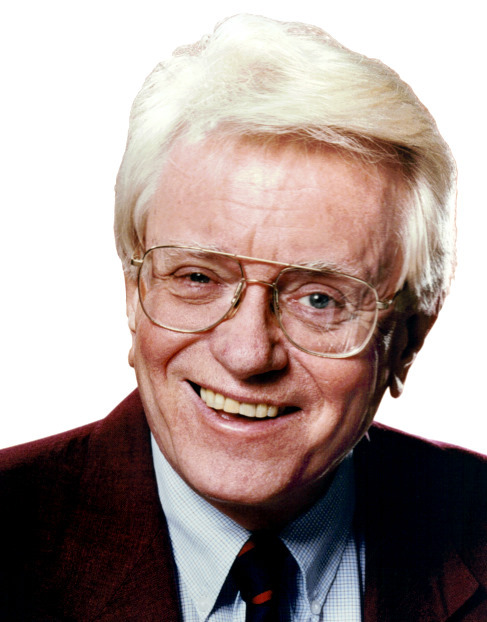 The beneath-the-radar activity was plotted by Harry Dexter White, one of the most valuable Soviet assets in the U.S. Eventually, it dawned on non-Communists in the U.S. government that there was a price to be paid for unconditional hatred – a hatred not unlike that unleashed on the world when vengeance toward the German people led to the 1919 post-World War I Versailles Treaty. That document would provide Adolph Hitler with his talking points. This time, if a starving post-war Germany went Communist, Hitler's "evil twin" (so to speak) Joseph Stalin would use it as a green light for further aggression, with or without talking points. A high price indeed for wreaking revenge on people who had nothing to do with the suffering Hitler had imposed. Professor Burke says among the reasons "the Americans stopped," was that in the U.S., the Republicans who dominated the 80th Congress "got rather cross because if Germany couldn't support herself, the U.S. would have to continue providing funds." That was the economic reason. Others were moral ("people were starving") and political ("the thought was that if people are starving...the thought was that they might be tempted to Communism"). Does it not seem ironic that the 80th Congress had the wherewithal to realize that a starving postwar Germany could end up going Communist or saddling America with a permanent responsibility to subsidize deliberately-imposed German poverty? Perhaps this is the time to recall that Harry Truman referred to "that good for nothing, do-nothing 80th Congress." That happened after Mr. Truman had "done something," namely appointed Harry Dexter White as America's Director at the International Monetary Fund (IMF) after FBI Director J. Edgar Hoover had warned the president that White was a Soviet agent. This was not a "do-nothing" task to which Truman had assigned White. Herewith some of the highlights of IMF responsibilities: to stabilize exchange rates, assist the reconstruction of the world's international payment system; conduct surveillance of members' economies and policies; improve the economies of member countries; foster global monetary cooperation; secure financial stability; facilitate international trade; promote high employment and sustainable economic health; reduce poverty around the world; promote high employment, international cooperation, employment, and exchange-rate stability. Imagine the mischief a Soviet agent was able to impose during the era when White was there. There have been some allegations in more recent years, that in the supposed implementation of those lofty goals, the international agency, supported in large part by American taxpayers, has engaged in overseas activities of dubious value to the free world. In addition to the parts of the Harry Dexter White record to which we have previously alluded, one more thing about the Morgenthau Plan: White or someone in his department leaked an advance copy of the details of this proposal for organized starvation to Soviet intelligence before it was announced (see Jerrold and Leona Schecter's Sacred Secrets), thus arguably prolonging World War II and costing many more lives than otherwise would have been the case. A Soviet agent (which White was) would have wanted to bring this about, the better to give the Soviets more time to reach Germany ahead of or at the same time as the Americans and British forces, thus heading off the possibility the defeated Germans would negotiate a separate peace with the West). After the Soviets had shown their true colors in the war's aftermath, White continued to argue for improved relations with the seat of worldwide Communism. Ex-Communists Whittaker Chambers and Elizabeth Bentley testified to White's Communist affiliations, Bentley adding that the secretary had brought various members of the American Communist underground into the Treasury Department. That revelation fits well with research by Alexander Vassiliev – a writer, espionage historian, and a former officer with the KGB – who detailed the activities of the pro-Soviet contingent at White's Treasury Department. According Vassiliev's research, and also outlined years earlier in a Senate committee probe headed by Senator William E. Jenner (R-Ind. 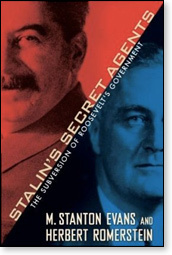 ), Frank Coe, Harold Glasser, Irving Kaplan, and Victor Perlo were identified as Soviet agents at Treasury. Vassiliev had also found Harry Dexter White's name listed in the Soviet archives as a contact. This he outlines in the 650-page volume Spies, which the Russian-born journalist co-authored with espionage scholars John Earl Haynes and Harvey Klehr. 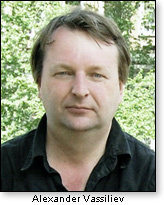 Vassiliev also was interviewed on the June 2, 2012, BBC broadcast referenced above. 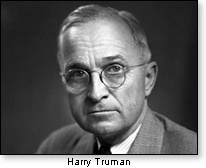 Truman would later claim that White had been "separated from government service promptly" once Truman was informed of his Communist activities. But in fact, White was still at the IMF more than two years after the president had been told about his record. White nonetheless was an architect of the IMF and the World Bank. The White record of acting in Soviet interests includes his obstruction of a proposed $200 million loan to Nationalist China in 1943, even though the loan had been authorized, and despite the fact that the then anti-Communist government of that nation was our ally in the ongoing war, fighting both the Japanese and the insurgent Soviet-backed Communists, as inflation ran rampant. But Harry Truman in a 1948 speech denied there was any Communist infiltration of the government, that the government's integrity was intact, and besides, the "alert" FBI was on to any Communist attempt to bring down America. He was, of course, partly right. The FBI was "alert" enough to warn him of White's record, but the president went ahead and appointed him to the IMF anyway. Oh, and by the way, Mr. Truman claimed as late as 1956 that Alger Hiss was not guilty. That was 16 years after Hiss was convicted and sent to prison because a jury of his peers found otherwise. 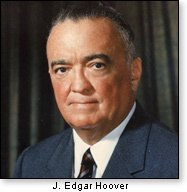 In 1953, J. Edgar Hoover, appearing before the Jenner committee, testified that his FBI had indeed warned President Truman about White despite the then-former president's denial. The hearing was prompted in part by the release of a report from President Eisenhower's attorney general, Herbert Brownell. The committee also heard testimony from Morgenthau's speechwriter, Jonathan Mitchell, who said White had tried to convince him that the Soviets had crafted a government approach that would replace capitalism and Christianity. Strange how the wrong, misguided, or damaging actions taken by presidents have a way of imposing great harm on the nation long after those chiefs of state have left office and are dead and buried, wouldn't you say? We're not done yet. We'll have more to say about what present and future generations are now and will continue to pay (in more ways than mere dollars) for all this.